Singam2 the Mega Hit Blockbuster of 2013 continues its good run in the box-office. 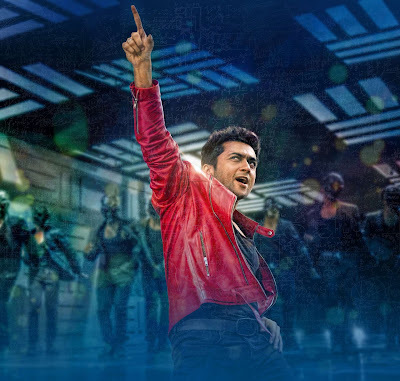 The film sequel to “Singam” was released on July5, non festival day and fetched new records at the box-office. The records are mind-blowing and the film completing its successful 25 days on 29-July-2013. The film gets big response on opening day and film reviewers misjudged the film “Singam2” that it will slow down after the release. But, they amazed with its run till now. The film portal “behindwoods” stated that “No signs of singam2 slowing down” (You Can See the Proof Here). And another source stated that “Singam2 is maintaining its collection no way for any film”. If you think that it was only in Tamil Nadu, you are wrong! L The film released in Kerala with the record of 151 theatres (The biggest release by a Tamil Film till now). 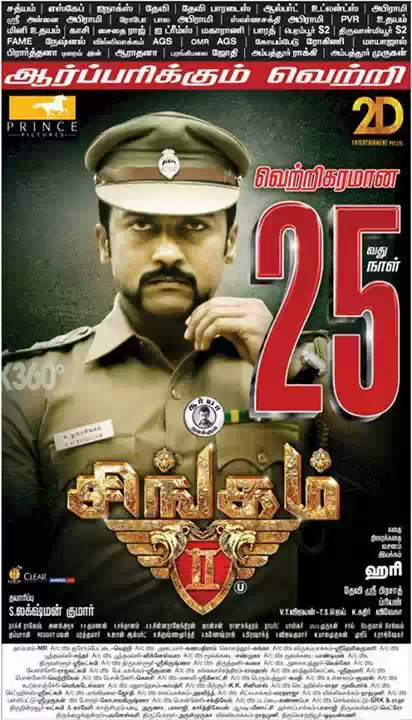 Almost in every city of Kerala, the film “Singam2” released in 2-3 theatres. Still now, the film “Singam2” is going stronger in releasing centers, they will be celebrating 25th days run tomorrow (29-July-2013). Hope Singam2 will do biggerr in Bollywood too. On the other side, the previous "Singham" in hindi will be expected to made as a sequel by the same director with new script. Do Post Your Comment And Also Please Like And Follow Us On Social Networks. Please Subscribe Our Page To Get Updates simply & Easily Just via Your Email-id, Please Enter Your Mail-id And Click Subscribe Button On the Right Side Of This Blog. The New Updates Are Provided by Google FeedBurner. Enjoy!